We recommend using a box cutter to cut the initial packaging tape when unboxing. Tearing the tape manually can cause large portions of the paper to tear. Your paper backdrop can crinkle and tear once your model steps foot onto it if it’s swept out onto carpet or uneven flooring. This will cause your backdrop to go from “seamless” to unsightly! 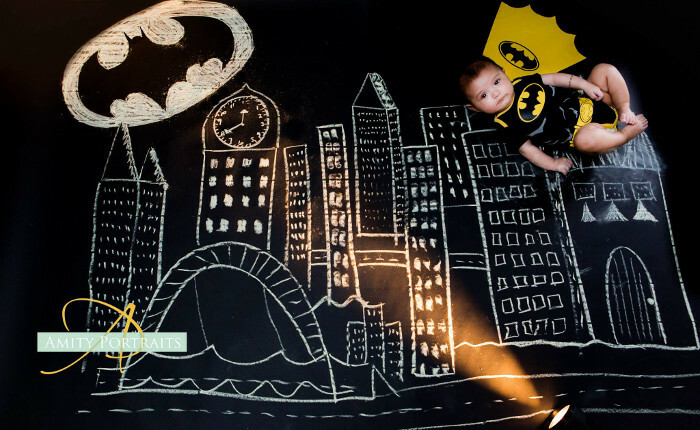 You’ll want to keep some gaffer tape around when setting up your seamless paper backdrop. If you are pulling the paper out past the floor for full body shots, place a few strips of tape along the edges of the paper laying on the floor to prevent it from curling up. Tip #4. Clean Your Shoes First! Clean your feet or think twice about walking across the paper. Footprints can show up in your images, especially with light colored paper and can take a lot of time to remove in post-production. Backdrop paper is just that – paper. It’s a delicate product by nature, but can offer a lot to your photography given its value. One of the most convenient characteristics of it is its consumable nature – don’t worry about wiping or cleaning dirt marks off of the end of your roll, just slide a box cutter (box cutters deliver a cleaner edge than scissors) along the width of the roll to take off the soiled portion and discard. Remember, paper is recyclable! We recommend recycling your end sheets instead of trashing them. If cutting off and throwing away a few feet of your seamless paper every time you use it sounds no fun, consider investing in a sheet of Plexiglas to place over the paper once it’s laid out on the ground. The clear, thin sheet will cover the paper from foot prints, dirt marks and tears from your models walking across it. It also adds a cool, reflective sheen to the floor of your photo. The best way to store your seamless paper roll when not in use is in a vertical position. This is to prevent gravity from weighing the paper down on itself over time and causing ripples in the roll, as it would do if left lying horizontally. If you need to store your paper roll horizontally for a short time that is perfectly acceptable, but it’s not something you want to leave permanently. We recommend using our Seamless Paper Storage Clip (featured below). Colored background paper is a fun canvas for trying out different lighting scenarios. Adjust the color lighter or darker with your positioning, or try out gels to completely change it up every once in awhile. Seamless paper is also a common material is craft & DIY projects.